The DH-161 is a female TPE love doll with a body height of ca. 161 cm and weight of about 33 kg. Five heads are available for this body style: Kaede, Aoi, Yui, Rin and a face with closed eyes. Body measurements: 82 (breasts) × 55 (waist) × 83 cm (hips). Under bust: 62 cm; shoulder width: 34 cm; arm length: 50 cm. The DH-161 Plus is a female TPE love doll with a body height of ca. 161 cm and a weight of about 33 kg. Five heads are available for this body style: Kaede, Aoi, Yui, Rin and Faye. Body measurements: 89 (breasts) × 55 (waist) × 83 cm (hips). Under bust: 62 cm; shoulder width: 34 cm; arm length: 50 cm. The EVO-160 is a life-sized TPE love doll by Doll House 168. The doll has a body height of about 160 cm and weights ca. 32 kg. Body measurements: 86 cm (breasts) × 65 cm (under bust) × 64 cm (waist) × 89 cm (hips) / 62 cm (upper body) / 37 cm (shoulder) / 50 cm (arm length) / 52 cm (thigh length) / 48 cm (lower leg length) / 51 cm (thigh girth) / 32 cm (calf girth) / 23 cm (foot length). 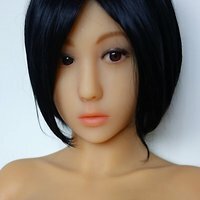 Many attributes of the EVO-160 love doll can be individually customized; for example, the skin tone, the eye color, and the hair color is configurable. DH-158 is a female TPE love doll with a body height of about 158 cm and a body weight of about 28 kg. There are five heads available for this doll: Kaede, Aoi, Yui, Rin and a face with closed eyes. Body measurements: 84 cm (breasts) × 43 cm (waist) × 78 cm (hips) / 50 cm (under bust) / 35 cm (shoulder width) / 50 cm (arm length). Lots of properties may be customized; for example, you can select diffent skin tones, eye colors, and hair colors - just like you are used from other TPE love dolls. The EVO-156 Plus is a medium-sized TPE love doll by Doll House 168. The doll has a a body height of about 156 cm and weights ca. 29.5 kg. Body measurements: 80 (breasts) × 63 (under bust) × 56 (waist) × 83 cm (hips). The DH-150 is a medium-sized TPE love doll with a body height of about 59" (150 cm) and a weight of ca. 66 bls (30 kg). There are several different heads available for this doll: Ai and Lilian. Body measurements: 31.5 in / 80 cm (breasts) × 19 in / 49 cm (waist) × 30.7 in / 78 cm (hips). Lots of attributes of this love doll may be customized individually; for example, you can select different skin tones, eye colors, and hair colors - just as you are used from other TPE love dolls. The DH-146 is a medium-sized TPE love doll with a body height of about 146 cm and a weight of ca. 24 kg. Body measurements: 73 (breasts) × 45 (waist) × 79 cm (hips). Arm length: 47 cm / Leg length: 84 cm / Foot length: 21 cm. 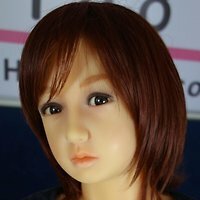 Kaede, also known as 楓, is a female head for TPE love dolls DH161, DH161 Plus and DH158 by Doll House 168. Momo, also known as 桃, is a female head for TPE love doll DH138 by Doll House 168. Yui, also known as 唯, is a female head for TPE love dolls DH161, DH161 Plus and DH158 by Doll House 168. Koi, also known as 戀, is a female head for TPE love doll DH138 by Doll House 168. Rin, also known as 玲, is a female head for TPE love dolls DH158 and DH161 by Doll House 168. Faye, also known as 菲, is a female head for TPE love dolls DH158 and DH161 by Doll House 168. Miyu, also known as 美優, is a female head for TPE love doll DH138 by Doll House 168. Miyu features closed eyes. Ai, also known as 愛 ("love"), is a female head for TPE love dolls DH161 and DH158 by Doll House 168. 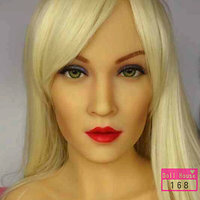 Megan is a female head for TPE love dolls DH161 and DH158 by Doll House 168. 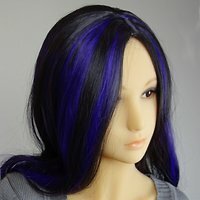 Wig A03 by Doll House 168 fits TPE love doll DH161 and the Kaede, Aoi, and Yui heads. Wig A04 by Doll House 168 fits TPE love doll DH161 and the Kaede, Aoi, and Yui heads. Wig A05 by Doll House 168 fits TPE love doll DH161 and the Kaede, Aoi, and Yui heads. Wig A06 by Doll House 168 fits TPE love doll DH161 and the Kaede, Aoi, and Yui heads. Wig A09 by Doll House 168 fits TPE love doll DH161 and the Kaede, Aoi, and Yui heads. Wig A11 by Doll House 168 fits TPE love doll DH161 and the Kaede, Aoi, and Yui heads. Wig A13 by Doll House 168 fits TPE love doll DH161 and the Kaede, Aoi, and Yui heads.